Professor Andrew Collins is Professor of Genetic Epidemiology and Bioinformatics within Medicine at the University of Southampton. 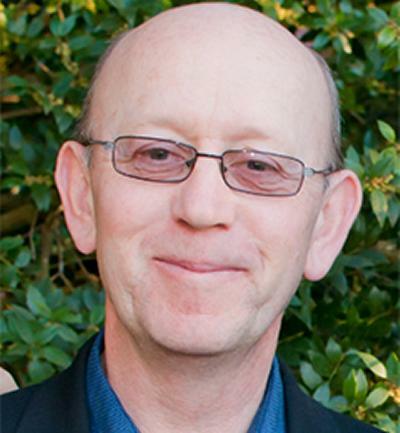 Professor Collins began his academic career in Southampton in 1989 and was appointed head of the Genetic Epidemiology and Bioinformatics research group in 2002. He has developed diverse research projects spanning non-disjunction and aberrant recombination patterns, bioinformatic prediction of imprinted and disease genes, biological properties of chromosomes, segregation analysis, autozygosity mapping, and linkage mapping studies for various diseases, genome-wide association mapping and next generation sequencing. BSc (Hons.) Zoology, University of Nottingham (1982). PhD, University of Southampton (1994). 1. The development and application of machine learning methods for the identification of the genetic basis of early onset breast cancer. 2. Development of bioinformatic analyses of next-generation sequencing data and application to cancer genomes. 3. Approaches to meta-analysis to determine the genetic basis of risk and he identification of genetic factors influencing survival in early onset breast cancer. 4. The genetic basis of paediatric inflammatory bowel disease. Member of Southampton High Performance Computing steering group. Associate Editor for the Annals of Human Genetics and the Open Bioinformatics Journal. Visiting Professorships, University of Sydney, University of Melbourne. Tapper, W., Collins, A., & Morton, N. E. (2007). Mapping a gene for rheumatoid arthritis on chromosome 18q21. BMC Proceedings, 1(Suppl 1), p.S18. Chen, L., Velasco Mondragon, H. E., Lazcano-Ponce, E., Collins, A., & Shugart, Y. Y. (2006). Effect of the peroxisome proliferators-activated receptor (PPAR) gamma 3 gene on BMI in 1,210 school students from Morelos, Mexico. Pacific Symposium on Biocomputing, 467-477. Gibson, J., Tapper, W., Zhang, W., Morton, N., & Collins, A. (2005). Cosmopolitan linkage disequilibrium maps. Human Genomics, 2(1), 20-27. Simpson, C. L., Hansen, V. K., Sham, P. C., Collins, A., Powell, J. F., & Al-Chalabi, A. (2004). MaGIC: a program to generate targeted marker sets for genome-wide association studies. Biotechniques, 37(6), 996-999. Shugart, Y. Y., Feng, B-J., & Collins, A. (2002). The power and statistical behaviour of allele-sharing statistics when applied to models with two disease loci. Journal of Genetics, 81(3), 99-103. Morton, N. E., & Collins, A. (2002). Toward positional cloning with SNPs. Current Opinion in Molecular Therapeutics, 4(3), 259-264. Ye, S., Dhillon, S., Ke, X., Collins, A. R., & Day, I. N. M. (2001). An efficient procedure for genotyping single nucleotide polymorphisms. Nucleic Acids Research, 29(17), p.E88. Shaw, M-A., Donaldson, I. J., Collins, A., Peacock, C. S., Lins-Lainson, Z., Shaw, J. J., ... Blackwell, J. M. (2001). Association and linkage of leprosy phenotypes with HLA class II and tumour necrosis factor genes. Genes and Immunity, 2(4), 196-204. Ke, X., Tapper, W., & Collins, A. (2001). LDB2000: sequence-based integrated maps of the human genome. Bioinformatics, 17(7), 581-586. Collins, A. (Accepted/In press). Linkage analysis and gene mapping. In M. J. Zvelebil, & J. M. Hancock (Eds. ), Concise Encyclopaedia of Bioinformatics and Computational Biology 2nd edition Hoboken, US: John Wiley & Sons. Collins, A., & Morton, N. (2007). Genome scanning by composite likelihood. In M. Weale (Ed. ), Genetic Epidemiology II: Latest Developments (The Biomedical & Life Sciences Collection). London, UK: Henry Stewart Talks. Morton, N., & Collins, A. (2004). Optimal use of linkage disequilibrium, haplotypes, and integrated maps for positional cloning. In M. Weale (Ed. ), Genetic Epidemiology I: Fundamentals, Theory, Practice and Latest Developments (The Biomedical & Life Sciences Collection). London, UK: Henry Stewart Talks. Collins, A. (2003). Genetics maps: integration. In D. Cooper (Ed. ), Nature Encyclopedia of the Human Genome (pp. 888-891). London, UK: Nature Publishing Group.